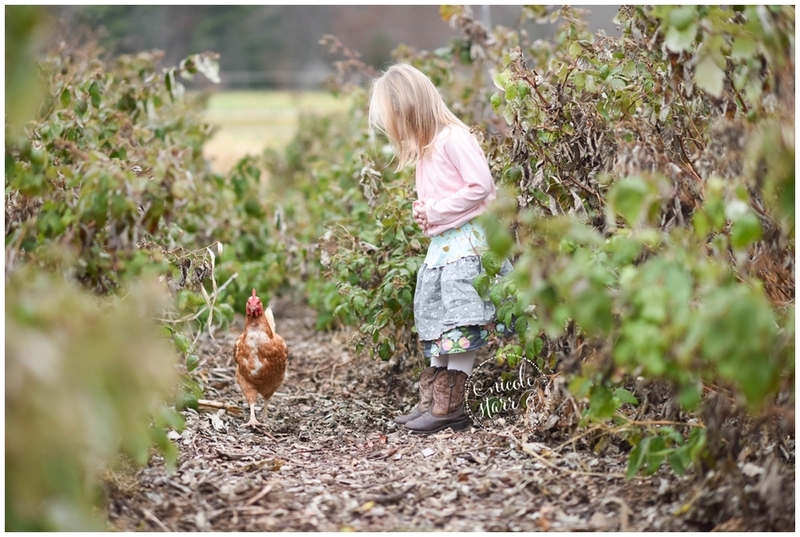 Sometimes, you just have to chase the chickens... Brinn's late-fall photo session at a local farm had a few unexpected visitors sharing the frame with her in her images -- chickens! The chickens were wandering all over the farm the day we were there, and five-year old Brinn loved it! She went chasing after them, calling out to them to "Come back this way, Chicken", trying to lead them towards seeds and worms to eat. 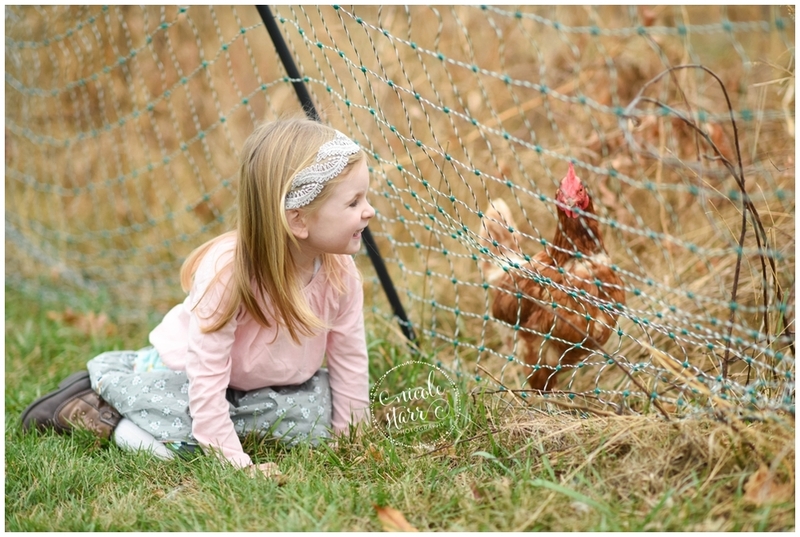 It was absolutely hilarious, and her mom and I couldn't stop giggling while watching this determined little girl try to herd the chickens during her photo shoot. One of the things I love most about returning to a location for my sessions is finding new ways to photograph families there. As a photographer, I know that there are a million different ways to look at any one place or thing. I love it when, with a little bit of imagination, I can create completely new images at a much-loved location to complement a family's personality. 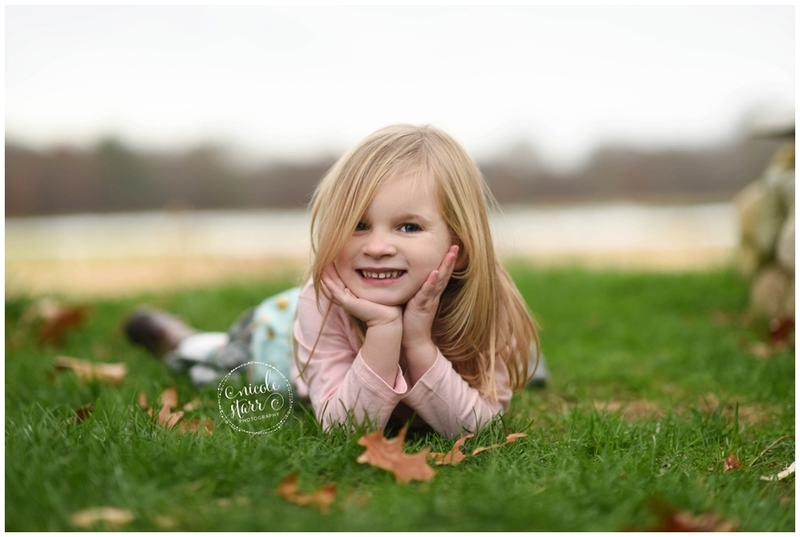 Brinn is a sweet little girl filled with so much personality, curiosity, and wonder. 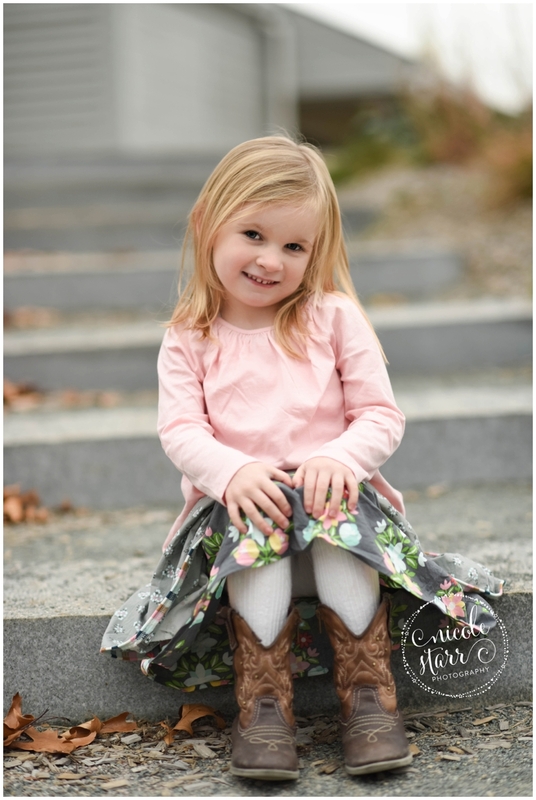 I love these sweet images we captured here that showcase her cowgirl boots and her charming little expressions. Ready for a little more sass? Give the girl a dance floor in front of a barn door, and she will bring the party! Finally, it's hard to believe it was late fall when these photos were taken. The vibrant green grass seems to hint at summer or spring, as does the white fluffy dandelion puff! I just love how sweet, innocent, and magical this next photo is, and the way those little puffs trail across the image as they float away across the farm. I absolutely loved capturing this spunky girl's sparkling personality on camera, and I just know her mom is going to treasure her keepsake box of images for many years.